The new Facebook Timeline is here and on March 30, 2012 all brand pages will have to convert to the new layout. To help make your transition a little smoother, we're providing you with some creative Cover Photos that will capture your fans' attention! 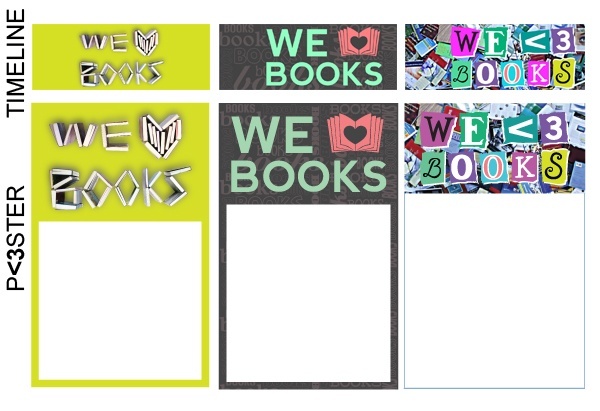 We've designed these images with your students in mind, integrating the latest trends into each theme! 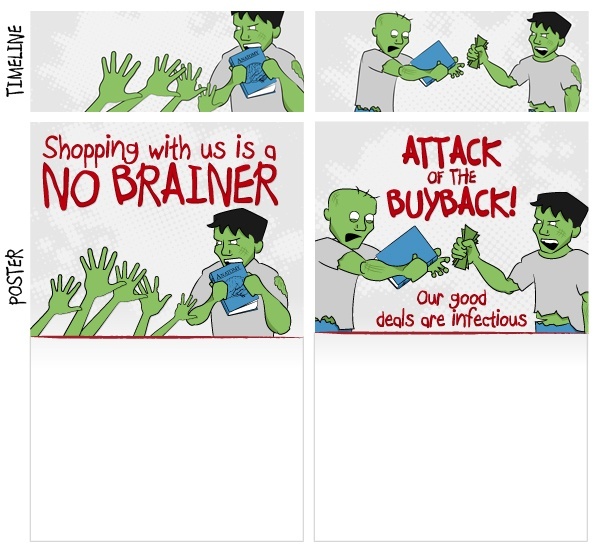 Better yet, we've added promotional posters to go along with each Cover Photo so that you can easily implement an entire campaign for buyback, rush, or any time in between! Facebook does have some guidelines for Cover Photos and, based on our interpretation of their rules, we have ensured that each of our images meet their standards. Check out our options below and click the link in each section to download both the Cover Photos and posters! After years of being a fashion faux-pas, mustaches are coming back in style and not just on faces, either! Mustaches now adorn everything from glassware to greeting cards and students can be seen sporting them on t-shirts and even jewelry! So what better way to spark their interest in important events like buyback and rush than with this fun advertising option?! With 2012's abundant apocalypse theories, zombies have taken center stage! With popular television shows, movies, and video games all featuring these frightful creatures they're well-known to students and a great way to bring some humor to your marketing efforts! Who doesn't?! Books are awesome and they are your specialty after all, so showcase your love with your Cover Photo! These options are great to put up on your page in between your major events. 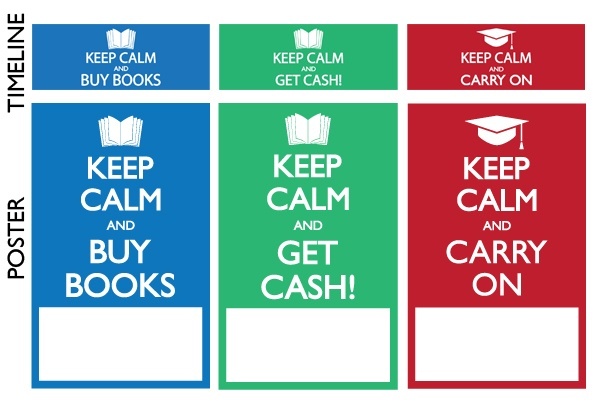 Odds are you’ve seen the "Keep Calm and Carry On" posters that have been plastered across the internet lately. Originally created by the British government during World War II to raise morale, this motto has since been used as decorative art and reproduced in countless forms. 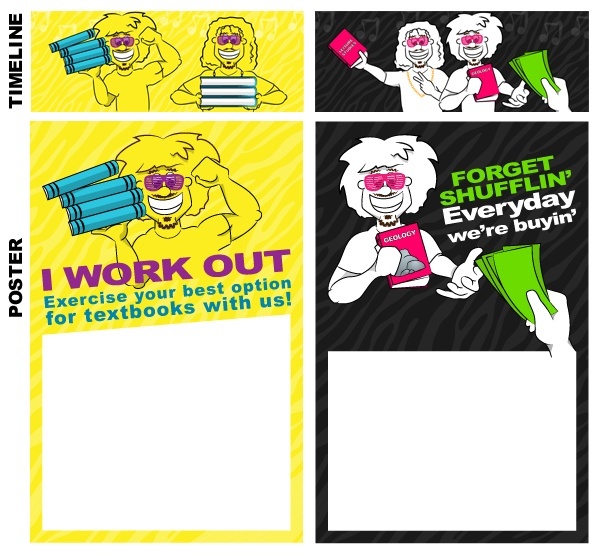 These posters will not only let students know that your store is up on the latest trends, but also that you're the easiest (and calmest, of course) place to get what they need! Competition in today's industry is tough. 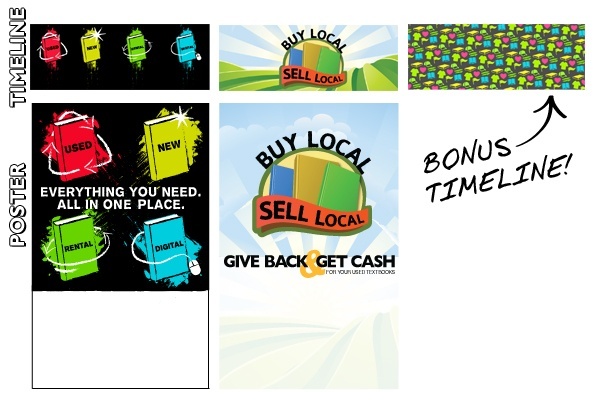 Be sure that your customers know all the benefits of shopping at your store by showing them off on your Cover Photo! 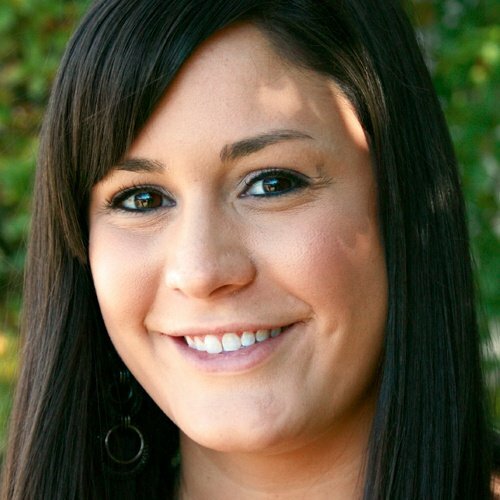 We've come up with several options that draw attention to all that you have to offer! From highlighting the fact that you support your local community to reinforcing that you carry all the textbook options that students need, they will help drive traffic to your store. 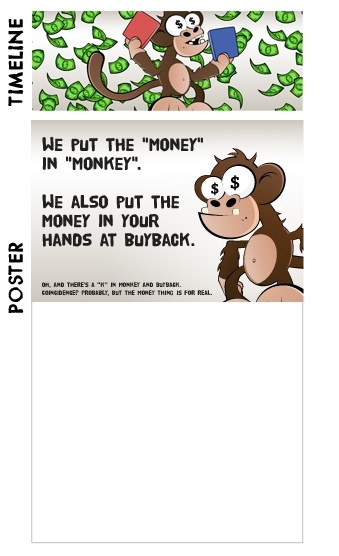 Students like to monkey around, so remind them that your buyback is bananas with this fun poster theme. 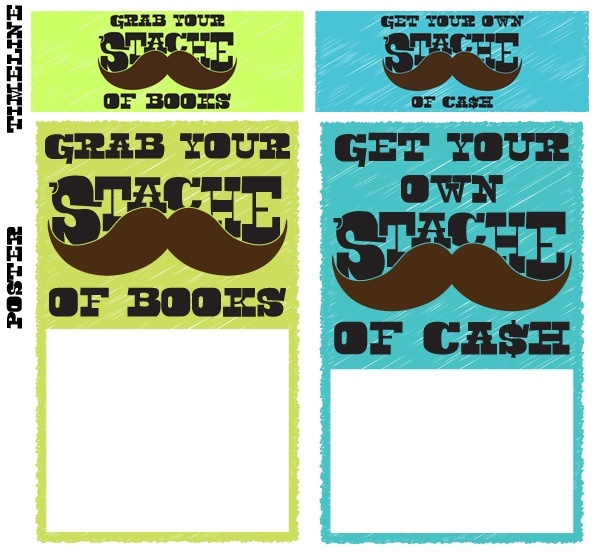 The lighthearted imagery will make your students see you have a sense of humor while reminding them that they can get the most cash by selling their books at your store.